Alright ladies and gents, it’s time you push aside those pathetic brown bag lunches, toss your stash of Hot Pockets and screw the lid back on the peanut butter jar. We are reclaiming lunch. What used to be a beloved break from the workday has been whittled down to a multi-tasking 30-minute sprint, and it’s time for a change. 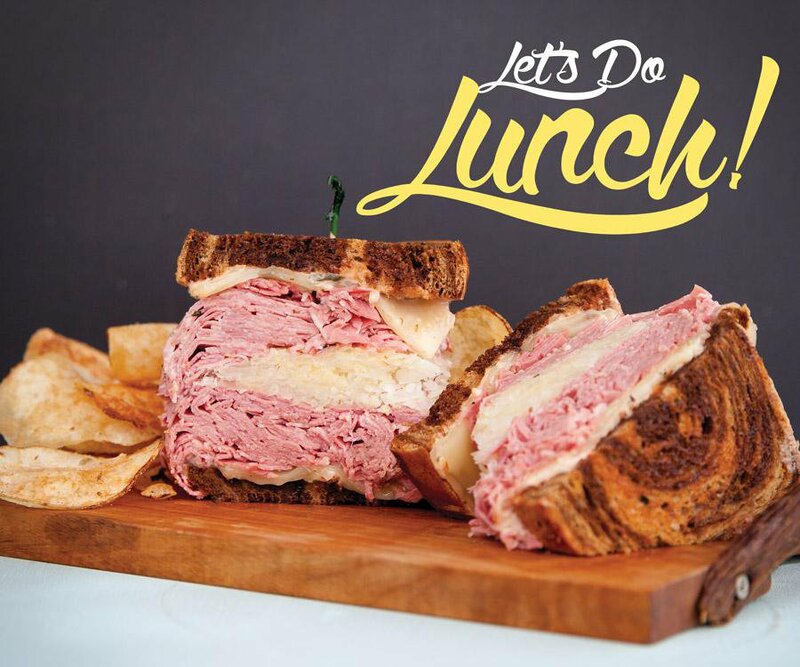 Whether you’re a fan of cheap and quick lunch options or you prefer to settle in for a relaxing meal, gather your gal pals or call in the guys and make a lunch date at one of the many 417-land eateries that are serving up lunch just the way it should be: Delicious! Treat yourself without blowing your budget with these tantalizingly tasty lunch options that ring in at $10 or less. 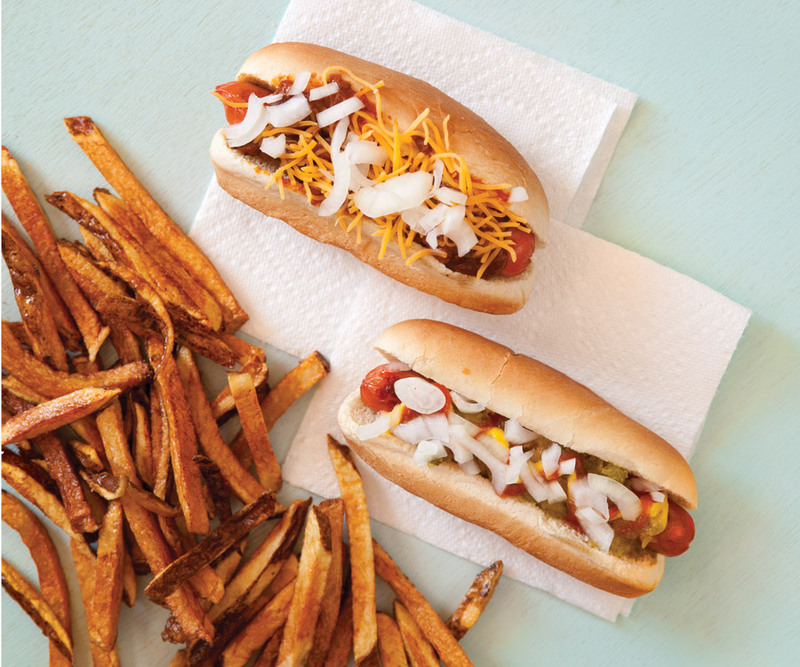 The recipe for these tasty Coney dogs was gifted to Louie’s from the original owner who opened the roadside diner back in 1949. These dogs cost just $1.50 each and come topped with cheese and onions. For an additional 75 cents, you can add jalapeños and tomatoes. With all the dough you’ve saved, splurge on a slice of homemade cobbler or a peanut butter shake. 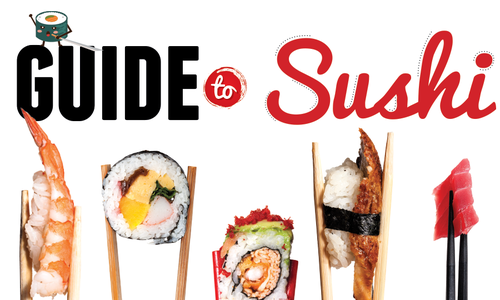 There are 25 sushi rolls on Kazoku’s menu, and 22 of them cost less than $10. Quite a steal! If you’re ready to try something out of the ordinary, order the spicy green mussel appetizer. Spicy masago is mixed with chili oil, sriracha, mayo and sesame seeds to create a flavorful sauce that’s slathered over three green mussels before the whole concoction is baked to perfection. Enjoy! Forget that clunky plastic box loaded with PB&J and a juice box—this is a much tastier filled lunch box. For just $9.95, the chicken bento box comes packed with chicken teriyaki, rice and your choice of two dishes including a California roll, veggie tempura, grilled mackerel, spicy tuna roll, and breaded pork or futomaki (a sushi roll with crab meat, fish eggs and radish pickles). For the small price of $7.50, this Frito pie comes piled high with chili beans, queso, red and green chili sauces, smoked cheddar, pepper jack cheese, lettuce, tomato, cilantro-citrus sour cream, crunchy Fritos and red and green chili ground beef. Before you dig in, here’s a word of advice: Have your napkin ready. This is one cheesy-but-delicious mess. For $5.49, lunchgoers can fill up on a tower of tortilla chips, homemade baked beans, nacho cheese and their choice of pork, chicken or beef that’s hickory smoked in-house. Don’t forget to slather on the house-made barbecue sauce. With just a kick of Kansas City–style sweetness, this sauce goes great with a sprinkling of jalapeños, which, P.S., are free. While the chefs at Primas Mexican Grill can’t give away their secret recipe for that hot and oh-so-gooey homemade queso, you can still savor each spicy bite thanks to the fajita nachos. For $10, you can dive mouth-first into a pile of tortilla chips smothered in your choice of chicken or steak, onions, bell peppers, melted shredded cheese and plenty of that tantalizing queso. The crunchy coconut shrimp is one lunch item totally worth the 10 bucks you’ll throw down. 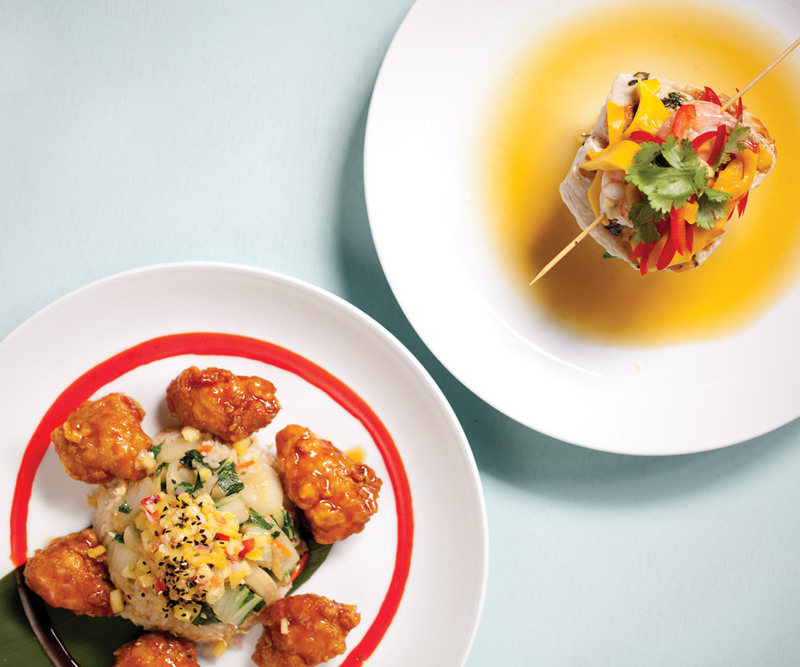 Four to five large shrimp are dunked in buttermilk and encased in a mix of sweet coconut and flour before they’re fried and served alongside a bed of rice, wok veggies and a sweet and spicy pineapple curry cocktail sauce. For those of you who haven’t tried the alpine soup at Tea Garden Café, it’s time to make lunch reservations. This simple delight gets requested from as far as Kansas City, and the true stars of the show are large chunks of cauliflower and broccoli that bob in a rich, creamy base. To turn the flavor up a notch, order your soup in one of the homemade sourdough bread bowls. For $5.99, you won’t be sorry. getting back to the office. 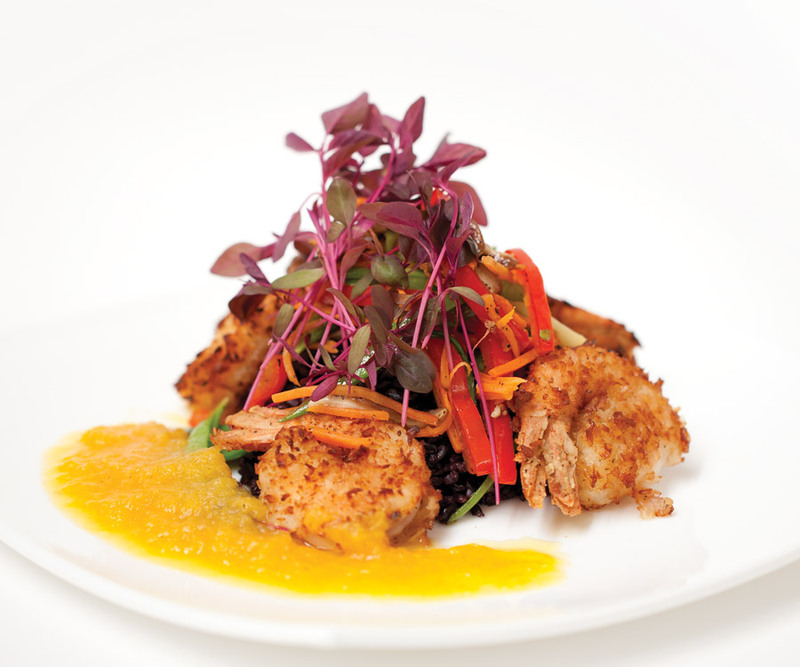 At press time, Ocean Zen just released its new lunch menu that offers both tried-and-true favorites and some new fresh flavors. The pineapple crispy wok chicken and the Teriyaki Honey Bourbon Glazed Pork Chop are both gourmet options available at lunchtime, and they give other popular dishes such as the crispy panko-breaded chicken some tasty competition. If you love seafood, try the super-popular shrimp and bay scallop linguine pasta. Part of the draw of Metropolitan Farmer is its focus on farm-to-table cooking. At press-time, its dinner menu boasted smoked trout smear, braised beef cheek, strip steak, filets and rabbit and lamb pot pie. With hearty dishes like that, it’s no wonder prices for an entrée can be as much as $36 (for a grass-fed filet). For a quick bite that will leave you full and happy without breaking the bank, stop by for lunch. 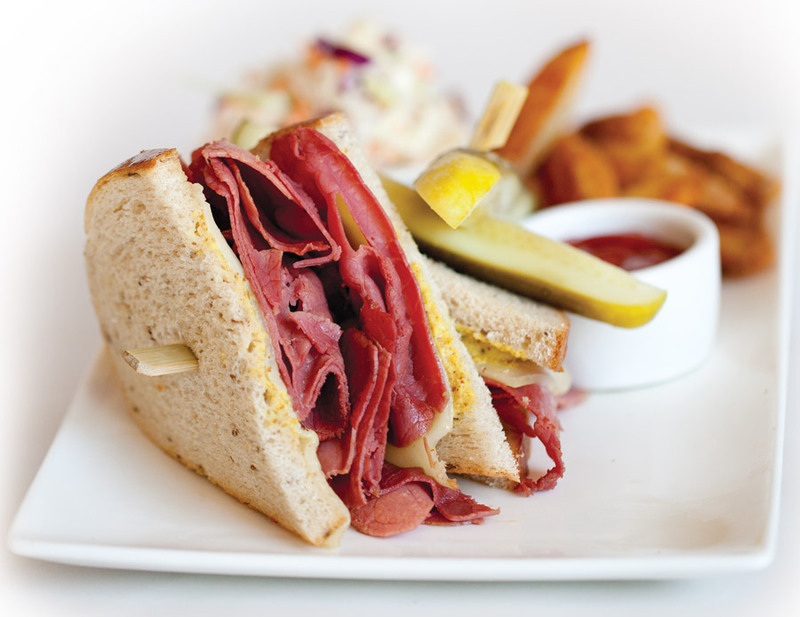 A staff favorite is the corned beef sandwich that is served on thick slices of rye bread with a medley of spicy mustard and gooey white cheddar cheese. Or try the chicken liver po’ boy with lettuce, onions and garlic aioli. Heads up: This menu changes often as fresh produce becomes available, so if your favorite dish hits the road, don’t sweat it. You’ll find a new love. Trust us.. The dinner menu at Avanzare Italian Dining is not for the faint of heart. If you don’t drool over the aroma of garlic and butter, then head to the exit or order a salad. Each dish on this Italian menu is a flavorful medley of items that include fresh herbs, rich melted butter, hearty seafoods, meats and noodles. And since Avanzare opened for lunch, diners can indulge in even more spectacular eats, like handmade thin-crust pizzas and warm panini sandwiches, both of which are not on the dinner menu. If you want to fill up on all sorts of rich and satisfying meals without the hefty dinner price tag, stop by The Argentina Steak House during lunch. You’ll find a good mix of indulgent seafood dishes, hearty steaks and flavor-packed salads drizzled with homemade dressings. Try the beef argentine with sautéed beef tenderloin tips that are cooked in a mushroom burgundy sauce and topped with spinach whipped potatoes. Now that’s what we call lunch! If you’re still hungry, load up on the seafood bisque packed with plump scallops, shrimp, crab meat, bell peppers and onions; it only costs $4 for a cup. When it comes to meat-heavy dinner menus, Level 2 Steakhouse offers an array of eats any carnivore would dream of. Petite filet mignon, ribeye, prime rib and ahi tuna steak abound, but the lunch menu also offers plenty of meaty entrees. Try the prime rib dip for $15.95. This handy meal (get it?) comes with melted Swiss cheese and roasted garlic mayo on a toasted hoagie. Notch up the flavor with a dunk in the horseradish sauce or the rosemary au jus. You won't be sorry. 417-landers fell in love with the dinner menu at Metropolitan Grill long ago and for good reason. Diners can sink their teeth into a mix of butcher favorites including ribeye and filets or enjoy Ahi tuna and Chilean sea bass that boast a range of Spanish and Italian flavors. Half the fun of dining tableside here is guessing which regular each dish was named after. During lunch, the fun continues with a totally different lineup of gourmet burgers, shaved prime rib, wraps and pastas. Cheesy, meaty, messy, toasted, crunchy or cold, sandwiches are a universal lunchtime favorite. Grab a few napkins, and make a lunch date with one of these 20 sammies that made our most-loved list. 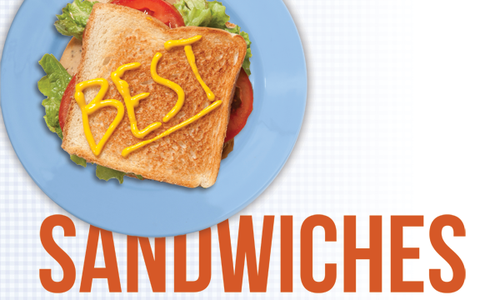 There’s a science to building the perfect sandwich. Here’s the basic recipe with tips from Nancy Miller at Nearly Famous Deli & Pasta House. • Toasting or grilling the bread firms it up and always creates a good base. • Use condiments on only one slice of bread to reduce the risk of sogginess. • Three or more condiments are too many. • The lettuce acts as a barrier. Build from there. • If you’re adding cold items like lettuce, the ingredients will slide around, and you will need a toothpick. • Consider your layers. You want layers to be distinctive, so it will be pretty when you cut it in half. No one wants to eat an ugly sammie. • If you have lots of layers, use cheese. It acts as a glue in hot sammies. • Onions don’t add too much moisture, so they’re great toppings. Place the onions between the meat and cheese before warming the sandwich. Same goes for tomatoes and cheeses. Oh Casper’s, how we adore you! Your messy chili wipes away our winter blues. so we don’t even mind the kitschy art. are part of why people come to eat and eat. a seat at your bar makes us feel right at home. but with charm like yours, our love will never sour. 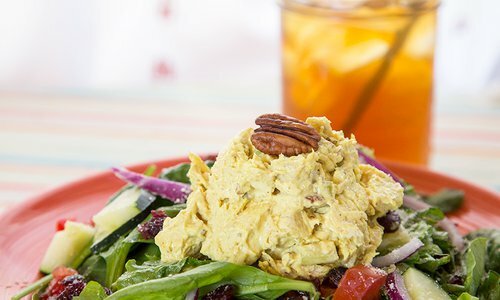 After dining at Spring Creek Tea Room in Ozark, we’ve finally figured out how to rock a tea room without losing our minds over lengthy waits or struggling what to pick from a delicious-sounding dessert menu. Here are a few tips. 1. Make a reservation. Most tea rooms fill up quickly, but you can often kill time by scoping out the antiques that seem to go hand-in-hand with tea rooms. (Many of the tea rooms in 417-land do some sort of retail on the side.) If you're in the mood a side of shopping to go with your meal, check out the 400 booths at Relics Antique Mall & Tea Room. It’s definitely worth doing a little light shopping. 2. Before you find your table, don’t forget to peruse the dessert menu or ogle the dessert counter. Spring Creek is known for its endless list of desserts, so it can take some time to choose your desired sweet treat. Cheesecake or butterscotch cake—how do you decide? Ask the server, duh! But once you’ve made up your mind, be sure to order your dessert first. These sweets are a hot commodity and once they’re out, they’re out. 3. Order the full-size entrees. They usually cost barely more than the half-sized portion, and you always leave with a doggy bag. At Spring Creek, the full-size entrees are just one dollar more, so don’t skimp. 4. If this is your first visit to a tea room, try the fruit soup. This is part of the tea room experience even if cold fruit soup scares you. The strawberry soup at Spring Creek is a cream-based treat that is akin to slurping down a strawberry shake. 5. You have to order tea. 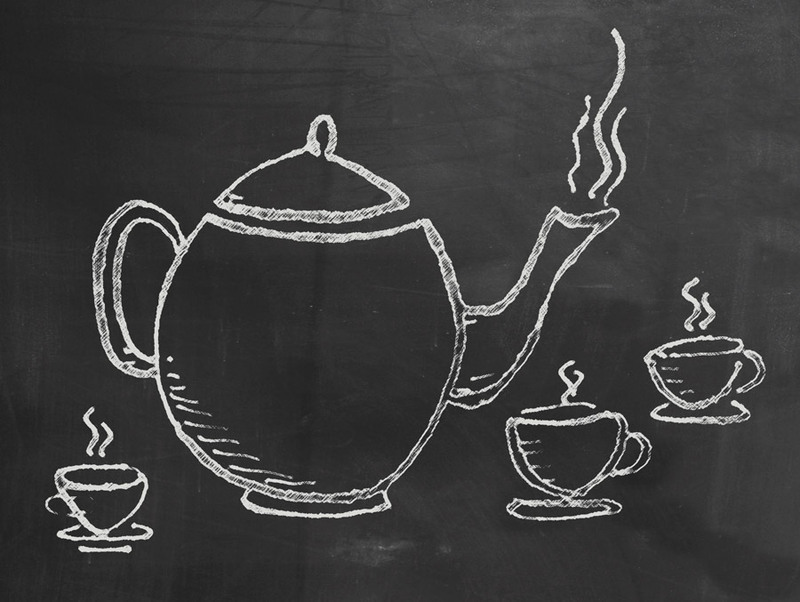 Most tea rooms have a great selection of herbal, green, black and floral teas. You can sip on a tasty variety of loose-leaf teas at Relics Antique Mall Tea Room. 6. Order more than one dessert. Tea room desserts are usually killer, and at Spring Creek, all desserts cost a measly $3.25. We highly recommend splitting a few desserts with your lunch buddies. There are too many tempting cakes and pies to choose just one. 7. If you’re in a rush, order your food to go. Tea rooms often have lengthy wait times during the lunch rush. 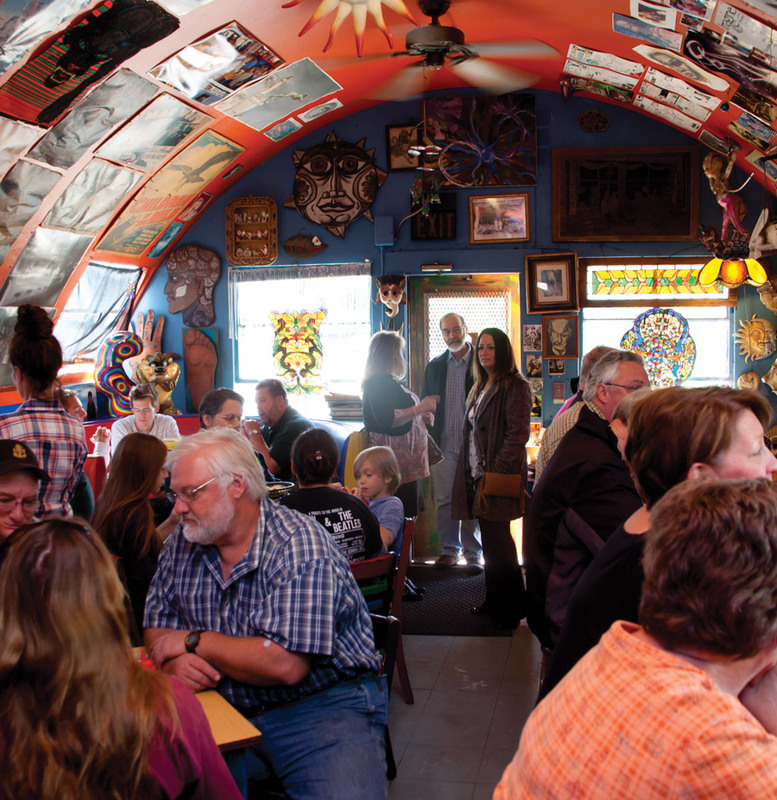 Spring Creek is hopping during lunch time, and wait times can be a total pain. Plus, when you order your food to go, you get the pleasure of walking past the long line of hungry visitors and snagging your meal. For a lighter lunch that won’t have you reaching for your desk pillow, fill up on one of these salads that are packed full of delicious morsels. Break away from the office, and soak up some sun on any of these restaurant patios where great views, fresh air and full stomachs await. 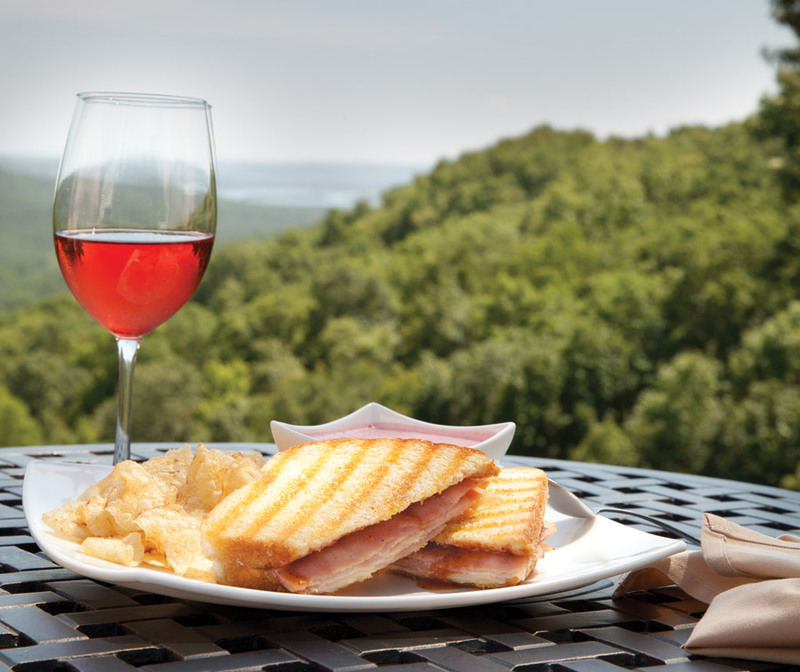 Why It’s Great: It’s hard to beat this view of the Ozarks hills and Table Rock Lake. What To Order: The ham and strawberry panini doesn’t disappoint with sourdough bread, savory strawberry jam, sliced ham and Swiss cheese. Best Seat: A corner table inside the screened-in patio. Why It’s Great: Tucked into the Phelps Grove neighborhood, this little café has a patio that’s perfect for enjoying the cool fall weather. What To Order: Try the baked ziti with tender roast beef, tomato sauce and plenty of melty mozzarella cheese. Best Seat: Grab a seat under an umbrella. Why It’s Great: This spacious patio offers a tree-spotted view of the neighborhood behind it. What To Order: You can’t go wrong with the bangers and mash. For $11 you get two lincolnshire-style sausages, mashed potatoes and caramelized onion gravy. Best Seat: Tables run along the railing, so you’re guaranteed a great view. Why It’s Great: Settle in for a great meal and one hell of a view of the driving range and the lake beyond. What To Order: Order Arnie’s guacamole with lime juice, roasted poblanos, cilantro, tomatoes, jalapeños and onion. For round two, try the popular Dos Equise beer-battered fish tacos. Best Seat: Grab a table on the upstairs patio. Why It’s Great: The upstairs patio is open during lunch, and this table has a great view of Table Rock Lake. 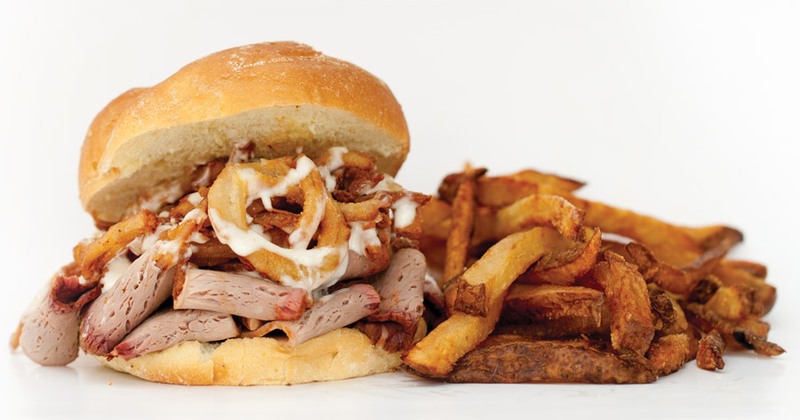 What To Order: The Brisket Burger is a must thanks to a crown of chopped brisket, house-cured bacon and onion tanglers. Best Seat: Snag a table close to the railing, so you can be near the fire and water show. Why It’s Great: The patio looks out over the fire and water show, which is especially great during fall when the heat from the fire display warms you up. 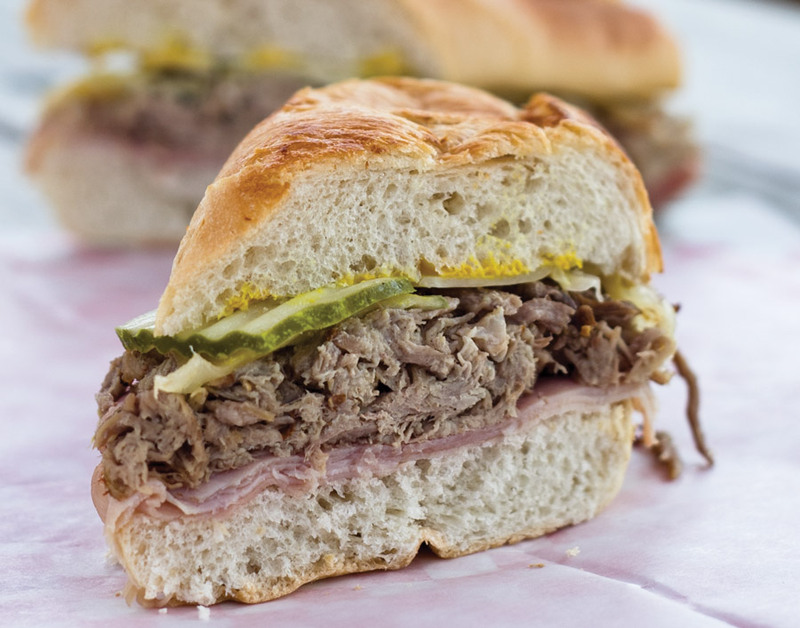 What To Order: For plenty of tender, meaty goodness, order the Torta De Costillas for $13.79. This griddle-baked sammie is packed with slow-roasted short rib meat, apple jicama slaw, jalapeños and black beans. Best Seat: The third table on the right. Why It’s Great: This is close to the trail, so it’s great for people watching. What To Order: You better go big or go home with this behemoth. The Three Way sandwich is loaded with sliced ham, pulled pork, smoked bacon and sharp cheddar cheese. Best Seat: The four-top in the back. Why It’s Great: This is a tiny patio, so you feel like you’re part of the party while still having a bit more privacy. What To Order: Don’t skip the Mushroom Steak sandwich. This vegetarian wonder includes sautéed portabellas, bell peppers, sliced onions, avocado, alfalfa sprouts and provolone for $8. Best Seat: Pull up a seat at the table in the far right corner. Why It’s Great: It faces a large grassy lawn, and besides hearing the wind blow through the trees, this is a cozy and quiet lunch spot. What To Order: Try the Brisket Burger. It’s served on a pretzel bun with house-made maple bacon aioli, fresh fried onion rings, skillet potatoes, cheddar cheese and a brisket hamburger patty all for $9. Best Seat: Walk out the door and go to the farthest table on the left. Why It’s Great: There aren’t many tables on this brick patio, so you get a little more privacy. What To Order: You can’t miss out on a chance to try the Muffaletta Pizza with ham, salami, pepperoni, capicola, mozzarella and provolone all topped with homemade olive relish. Get the 10-inch for $13.95, and invite a few co-workers to help you finish it. Best Seat: Anything on the top deck. Why It’s Great: If you want a little more privacy, swallow your fear of heights and head to the top deck, which has no more than 12 seats. What To Order: Unwind with a tall beer and a sissy size of the Rajun Cajun burger. Best Seat: Any table on the upstairs back patio. Why It’s Great: The upstairs patio is kind of a hidden gem in downtown Springfield. The patio is charming, the air seems crisper, and it’s small enough that you feel like you’re part of the party going on around you. What To Order: It’s hard to beat the Brew Pie pizza for lunch. Each bite is a flavor explosion of Italian sausage, pepperoni, capicola, mushrooms, green onions, black olives and stringy mozzarella cheese. Best Seat: Grab a tall two-top outside. Why It’s Great: There’s just something intimate and charming about these bar-style tables, and we love being able to feel like we’re part of the Saturday farmers market crowd. What To Order: Treat yourself to a bloody Mary. There are five varieties on this menu, and each one is a tasty addition to your lunch. Miss those finger-licking good meals you used to devour as a kid? 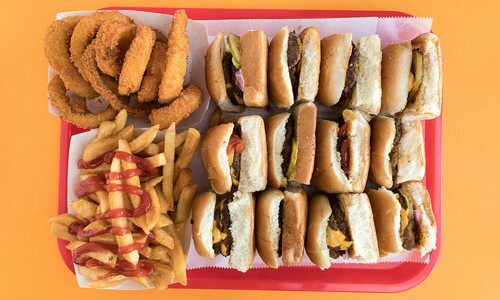 We’ve rounded up a few lunch options from around 417-land that take your favorite kid meals to the next level. Remember those oh-so-messy sloppy joes you used to eat as a kid? Half the fun was seeing how much of the crumbly, meaty filling you could actually keep sandwiched between the bun. And now you can relive those fun-filled meals with The Pepper Joe at That Lebanese Place (338 E. Commercial St., Springfield, 417-536-6677, thatlebanesepalce.net). This souped-up version of the classic sloppy joe adds an extra punch of flavor with ground beef seasoned in a Lebanese blend of spices and mixed with grilled onions, sweet bell pepper, garlic, tomato sauce, mustard, tomatoes, pickles and lemon juice. 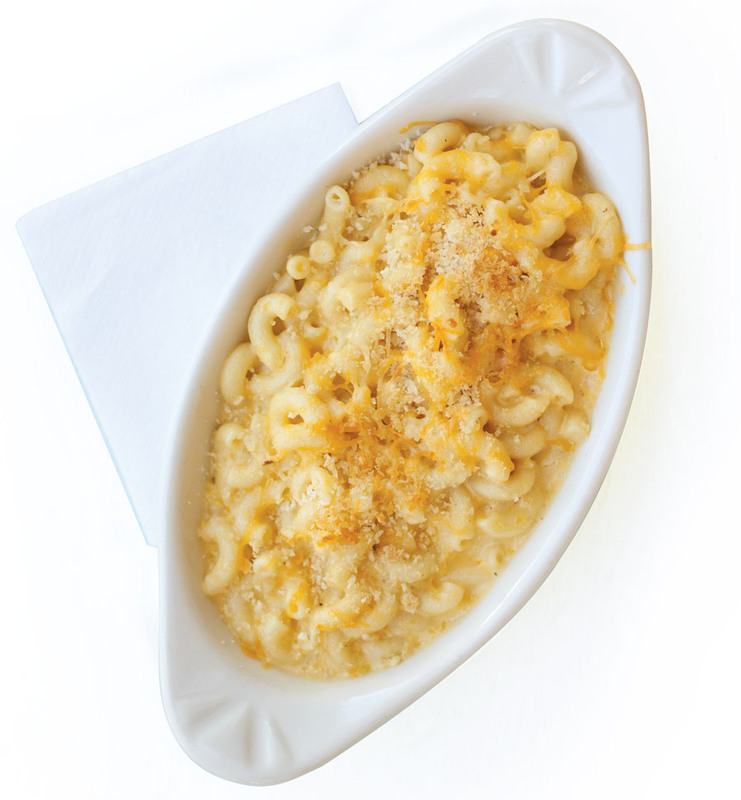 The Usual at Leong’s Asian Diner (1540 W. Republic Rd., Springfield, 417-887-7500, leongsasiandiner.com) might be a no-big-deal dish for the kiddos, but diving fork-first into a big bowl of mac and cheese at a restaurant isn’t such an everyday experience for the rest of us grown-ups. So when we’re in the mood to relive our childhood, we take a big bite of Leong’s deliciously cheesy mac, which is the perfect blend of noodles, mozzarella and cheddar cheeses, milk and butter. It doesn’t matter how old you get, sometimes nothing beats a plain old hot dog slathered in ketchup, mustard and a whole lot of relish. The only way to improve on that magical flavor combination? Add bacon! And that’s just what the creative culinary masterminds at Instant Karma Gourmet Hot Dogs (527 S. Main St., Joplin, 417-206-3647) did with The Angry Red Neck. One big, juicy black angus hot dog comes wrapped in crispy bacon and drowned in Bully Porter-braised chili, bleu cheese slaw and jalapeños. Bam! Now that’s a hot dog. Remember those days when your parents would make you grilled cheese sandwiches with Kraft Singles? Remember sitting at the table and slowly pulling the two halves of that buttery grilled sammie apart to reveal a web of golden cheese? Those were the days. The Derby Deli inside Brown Derby International Wine Center (2023 S. Glenstone Ave., Springfield, 417-883-4066, brownderby.com) has somehow managed to make the classic grilled cheese even better. The Ultimate Grilled Cheese is the adult version of that buttery wonder we all loved as kids. Thick, melty slices of gruyère cheese are layered on sourdough bread with caramelized onions and truffle oil. Warmed in a panini press until all that gooey deliciousness starts bursting from its crusty confines, this is the perfect complement to a tall glass of red wine. Menu Highlights: This is authentic bayou cooking at its best with a lineup of po’boys, gumbo, red beans and rice and more. 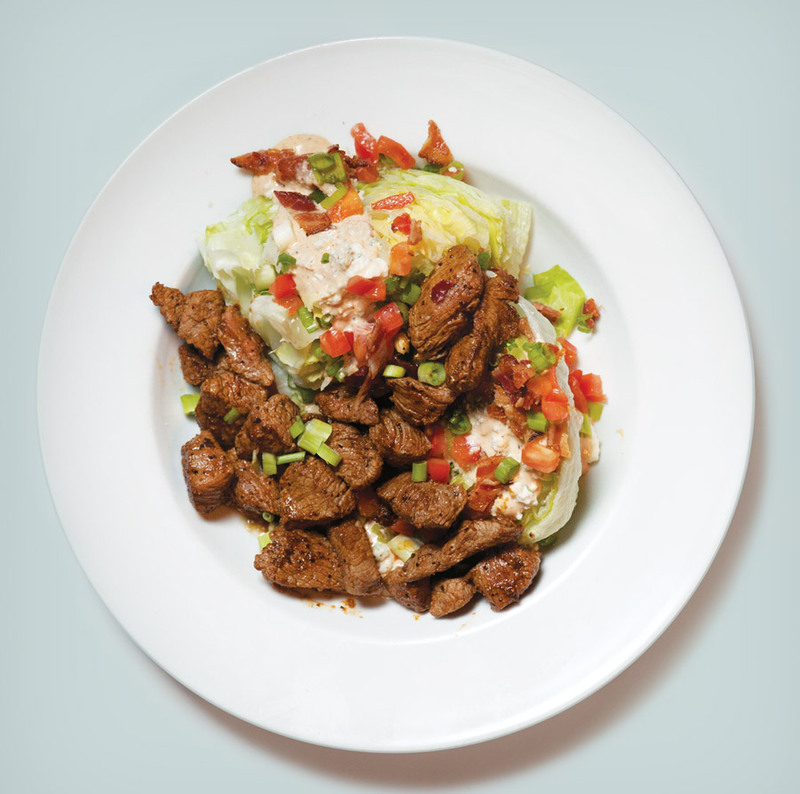 Menu Highlights: Creative takes on tacos that will blow your taste buds away. Try the cordon bleu taco or the made-to-order chicken and waffles. Menu Highlights: This mobile BBQ joint travels all over 417-land dishing out ribs, smoked pulled pork, smoked chicken, burritos, brats, tacos and much more. Menu Highlights: Massive burritos and tacos come stuffed with all kinds of tasty treats, plus there are plenty of vegan and vegetarian-friendly options. 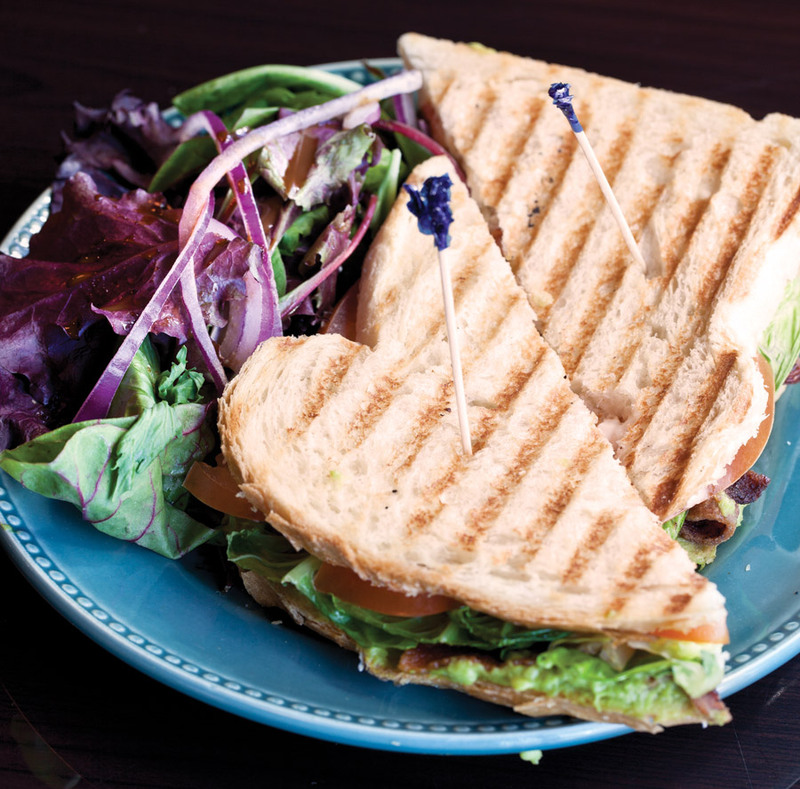 Menu Hightlights: Farm fresh food to-go sums it all up with the addition of vegan, vegetarian and gluten-free specials. The meatloaf sandwich on sourdough is a must-try. For all you creatures of habit, several 417-land eateries offer regular daily specials that you can count on each and every week. 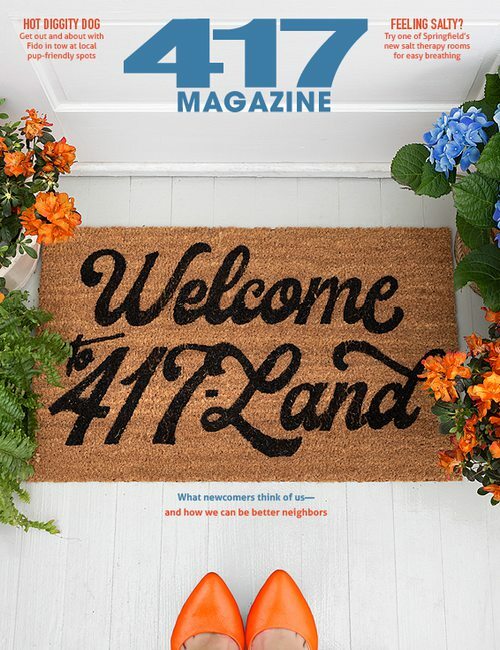 We recommend making a monthly schedule of some of 417-land’s best blue plate specials, so you can be sure to fill up on each tasty bite. This handy chart is sure to help.